LandCare’s Jared Rice was promoted to regional manager for Northern California. LandCare promoted Jared Rice to regional manager for Northern California. Rice joined LandCare in 2008 and most recently served as branch manager of the Dallas/Fort Worth location. He’s also led branches in San Diego and Austin. 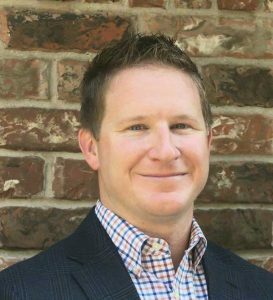 The company also promoted Reiss Wilburn to branch manager in Nashville, Tenn. Wilburn most recently served as business development manager at the Nashville branch. LandCare hired Ashley Plaetzer as director of talent and Nina Won as director of marketing. Both positions are newly created. Plaetzer previously recruited for companies in the technology and creative industries. Won was a marketing executive in the retail space. The North Carolina Nursery & Landscape Association (NCNLA) added Hannah Singleton as manager of professional development. Singleton previously served as a sales representative at Jericho Farms/Landscape Design in Goldsboro, N.C., and taught horticulture and agriscience at West Cateret High School in Morehead City, N.C. Singleton graduated from the University of Mount Olive with a bachelor’s in agricultural education and a minor in psychology in 2014. She served as a communications intern at NCNLA in 2013. Cool Planet, an agriculture technology company, added Rik Miller to the company’s board of directors. A 36-year veteran of the agriculture industry, Miller served as president of DuPont Crop Protection until 2015. He has also served as an operating team member and corporate officer of E.I. du Pont de Nemours & Co. He is currently on the board of directors of Douglas Products and an adviser with Altamont Capital Partners. EnP, an Illinois-based specialty fertilizer manufacturer, added John Gruneisen to its sales team. Most recently, Gruneisen served as territory sales manager at Holganix. In his new role, he’ll continue to work with Holganix, serving as a technical advisor on EnP technologies that are used in Holganix. He graduated from The Ohio State University with a degree in turfgrass science and a minor in plant pathology. He’s also previously worked as a distributor sales representative and an assistant golf course superintendent. The Aspire Software Co., providers of landscape business management software, hired Emanuel Clark as technical product specialist. Clark has more than 20 years of IT, programming and data analysis experience. Ditch Witch, a Charles Machine Works company, honored Robbie Royster of Ditch Witch of Virginia with the 2016 Lowell Highfill Award. This annual award is given to the organization’s salesperson of the year. Royster started working for Ditch Witch in 1986 as a parts manager. Since then, he’s moved into a broader sales role. He is the only employee to win the company’s Lowell Highfill Award and Harold Chesnutt Award for excellent customer dedication.